A well-stocked and organized store is essential to providing a satisfying customer shopping experience. 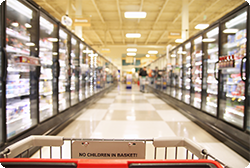 This online training module reviews the most efficient methods for stocking the coolers, keeping them clean and organized, and checking items for freshness. Employees learn to keep an eye on key categories to prevent out-of-stock items, which can lead to lost sales and customer dissatisfaction.